Sun Bum Shorties Cool Down Aloe Lotion by Sun Bum. The light, non-greasy formula is quickly absorbed, leaving the skin smooth and soft. Ingredients: Water, Glyceryl Stearate SE, Stearic Acid, Cotton Seed Oil, Sorbitol, Theobroma Oil (Cocoa Butter), Simmondsia Chinensis Oil (Jojoba Oil), Aloe Barbadensis Gel (Aloe Vera), Cetyl Alcohol, Sorbitan Oleate, Triethanolamine (TEA), Diazolidinyl Urea, Tocopheryl Acetate (Vitamin E), Fragrance. 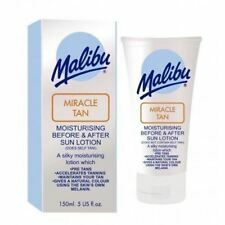 Prevent peeling and flaking by using our After Sun lotion before it begins! Seal in that deep dark tan and prevent your tan from fading. Use daily for smoother softer skin year round! Maui Babe After Sun Lotion by Maui Babe. New and fresh, Sealed tube! Full Garnier Ambre Solaire Range. QUICK DESPATCH!!! With Borage Oil and Larch extracts to delay the onset of wrinkles, help regenerate the skin and regulate hydration. Edelweiss extracts, rich in Flavonoids, slow down the ageing process of the skin and, combined with vitamin E, give a powerful, antioxidant action. 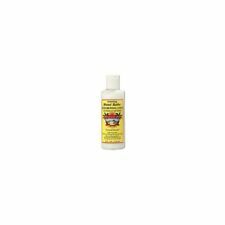 D-Panthenol Natural Spray 160ml. D-Panthenol Skin and Tissue Repair Spray. Vitamins E F.
Wooden toys. Construction Toys. Character Toys. Arts and Crafts. Royal Creamware. Emma Bridgewater. Dartington Crystal. LIRENE Body Balm Arabica "Cafe Latte" Bronzing & Firming Effect For Fair/Light Skin complexion Sensitive Coffee Scent 250ml. LIRENE body arabica "Cafe Latte" Balsam Brazujaco-Ujedrniajacy do ciala - skora jasna karnacja 250ml. Hawaiian Tropic Ultra Radiance After Sun. Indulge yourself with this ultra conditioning lotion that will soften and smooth your skin for an amazing experience. Island Mango Fragrance 240ml Pump Bottle. A high quality mixture rich in Aloe Vera, with Vitamin 'E' & Anti-Wrinkle Collagen (to help retard the ageing process), Vitamin B5, Jojoba Oil, Avocado Oil, Kukui Oil, Eucalyptus Oil, Banana Extract and much more. to help replace your body's natural oils lost to exposure to the sun, wind and water. Fruit of the Earth Aloe Vera 100% Gel 340g - 2 Pack. Fruit Of The Earth Aloe Vera Gel 340g. Cooling soothing gel from nature's miracle plant of the ages. Discover the many uses of aloe! As a shaving gel. As a hair styling gel. Contains No Alcohol. No Color Added. Contains pure Aloe Vera leaf juice. 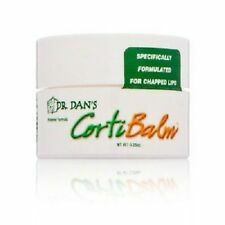 Soothes and cools dry, sunburned skin. We always endeavour to go the Extra Mile! We're only happy if you are! Tromborg Deluxe Herbal After Sun Cream 100ml. This after sun cream by Tromborg pampers your skin with selected, high-quality and natural active ingredients that work deep inside the skin. Tan Maximizer 50 ML. Mit der feuchtigkeitsspendenen Formulierung wird sich Ihre Haut besonders schnell erholen und sich nicht so schnell schälen. Calypso After Sun Gel Aloe Vera Aftersun 250ml. Ocean Potion Ice Skin Repair - Instant Burn Relief Gel by Ocean Potion. Ocean Potion Ice Skin Repair - Instant Burn Relief Gel. Ocean Potion. Non-sticky and will not stain. Product Details. 100% pure aloe vera; fragrance-free; no color added. Can also be used as a shaving or hair styling gel. We are not responsible for these and cannot quote these fees. We will do our best to accommodate. Lily of the Desert, 99% Aloe Vera Gelly, 8 oz (228 g). Rona Ross D-Panthenol. Kids Sunscreen Lotion SPF 50 200ML. Enriched with active ingredients – Panthenol, Calendula, Bisabolol, Shea Butter, Aloe Vera, Vitamin E, Glycerin –. Sunscreen milk of high protection from the solar radiation especially designed for the children’s epidermis. We are not responsible for these and cannot quote these fees. We will do our best to accommodate. That way I will know the item has arrived safely and you are satisfied. Product will arrive fresh, unexpired with a year or more of a shelf life. If you suffer from prickly heat this is what you have been looking for!! A mild foaming gel without soap for face and body, cleanses gently while leaving the skin smooth and soft. With anti-bacterial and anti-fungal properties in combination with anti-itching, antiseptic and soothing agents relieves and prevents skin irritations. Brand new, in a box Institut Esthederm Tan Prolonging Body Lotion, 200 ml. The comforting formula contains a soothing complex, designed to calm burning sensations and help to normalise skin’s reactivity after being exposed to the sun. The lotion thoroughly moisturises the skin for a longer lasting tan that will fade gradually. 22 X Mary Kay Sun Care After-sun Replenishing Gel. This ultra light cool blue gel contains soothing botanical extracts.Absorbs quickly. Pour ceux et celles qui se laissent déborder par leur goût du soleil, Institut Esthederm a conçu ce soin après-soleil ultra-apaisant. Soin après-soleil. Renforce la tolérance cutanée et diminue la réactivité de la peau au soleil (Complexe ultra-désensibilisant : laminaria ochroleuca). Aloe Vera Gel can be found in many forms in the skin care world, but Aubrey is committed. to keeping our Aloe Vera Gel in its natural liquid form, without any unnecessary additives. Ours is pure, straight-from-the-leaf Aloe, nature's finest skin hydrator and soothing agent. Fruit Of The Earth Aloe Vera Gel 56g. Cooling soothing gel from nature's miracle plant of the ages. Discover the many uses of aloe! As a shaving gel. As a hair styling gel. Contains No Alcohol. No Color Added. Product will arrive fresh, unexpired with a year or more of a shelf life. We are not responsible for these and cannot quote these fees. We will do our best to accommodate. That way I will know the item has arrived safely and you are satisfied. Cooling soothing gel from nature's miracle plant of the ages. Discover the many uses of aloe! As a shaving gel. As a hair styling gel. Contains No Alcohol. No Color Added. No Color Added. No animal testing. The easily absorbed formula with Shea Butter, Aloe Vera, Vitamin E and Cucumber extract also provides 24-hour hydration to help relieve the sensation of tightness, prevent peeling and leave the skin feeling soft and supple. Verwende biobedouinen Bräunungsöl, um den Bräunungsprozess zu beschleunigen. Bräunungsöl enthält bestimmte Inhaltsstoffe, die UV Strahlen intensivieren, was deine Haut schneller dunkel macht. Verwende biobedouinen Bräunungsöl, um den Bräunungsprozess zu beschleunigen.Bräunungsöl enthält bestimmte Inhaltstoffe, die UV Strahlen intensivieren, was deine Haut schneller dunkel macht. Piz Buin Soothing After Sun Lotion 200ml. Piz Buin After Sun Soothing Lotion contains Aloe Vera to gently revitalise the skin. 200ml bottle. After Sun Soothing Lotion. Stay Safe In The Sun. With added Vitamin E.
NEW Luna Bronze Glow Tanning Moisturiser 200ml Body Moisturiser. FRUIT OF THE EARTH 16oz Bottle BLOCK UP! Soothing Aloe Vera AFTER SUN GEL New!